This Hebrew prayer has its roots in a Talmudic story (tractate Ta’anit, 25b). At a time of drought, after another Rabbi has made a fruitless attempt to pray for rain, the great sage Rabbi Akiva (second half of 1st century, and first half of 2nd century) initiates a prayer in the “Avenu Malkenu” – “Our Father, Our King” – format. His prayer is successful. The “Avenu Malkenu” that Phish performs is a later version of this efficacious prayer. It can be translated as, “Our Father, Our King, be gracious with us and answer us, even though we have no [worthy] deeds; treat us with charity and kindness, and save us.” Within the context of the Jewish liturgy, this prayer is interesting because it defines a relationship with God as both that of a Father-Son, as well as a Master-Servant. 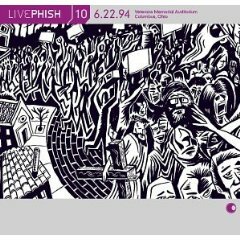 Phish almost always plays “Avenu Malkenu” (granted, a bit funkier than you’re likely to hear it in synagogue) preceded and followed by “TMWSIY.” There are exceptions; the band occasionally forgoes the “TMWSIY” reprise, in favor of another song, such as the fan favorite 8/7/93 (which launches into a raucous “Sloth”), 12/28/96 (straight into “Mike’s Song”!) and 10/3/99 (“BBFCFM”). 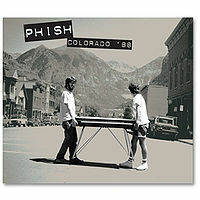 4/18/92 is also an interesting version, as it contains an extended “Happy Passover” bass solo. The “TMWSIY” > “Avenu” > “TMWSIY” trio replaced “I Am Hydrogen” in its traditional role as intermediary between “Mike’s” and “Weekapaug”on 2/4/93. 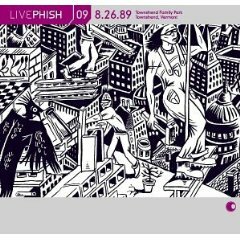 Trey then proceeded to tease “TMWSIY” in “Weekapaug.” While the song has dropped from even semi-regular rotation, it made one post-hiatus appearance on 7/7/03 (into "Walls of the Cave"), and has been played several times in 3.0.